A new writer is on the scene! Welcome, Jonathan! 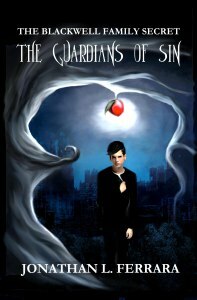 To celebrate yet again the release of the YA fantasy novel, The Blackwell Family Secret: The Guardians of Sin, by Jonathan L. Ferrara, Dragonwell Publishing is offering another giveway. Enter the Rafflecopter below for a chance to win an ebook copy of this novel, which keeps garnering rave reviews, or a gift certificate to shop at the publisher’s bookstore. The winner will be announced the 5th of March on this blog. Please help launch the work of this talented young author and share this post with your social media! ← You Haven’t Seen Snowpiercer Yet? Say It Ain’t So!